OptimizeWayne is committed to creating and sustaining collaborative platforms for students in Detroit to create, grow and maintain lasting impact. OptimizeWayne is committed to fostering social innovation in Detroit by challenging Wayne State University students to ask themselves, “why not me?” We strive to mobilize student innovators in establishing and sustaining initiatives for positive social impact in their communities and beyond by providing workshops, mentors, funding and community. For the past two years, OptimizeWayne has been a tuition-free, social-impact focused project management and venture incubator platform for helping students design and launch community based entrepreneurial activities. By encouraging individuals to apply their creativity to real world issues, OptimizeWayne encourages young and diverse entrepreneurial ideas not only to be heard in conversations affecting the city of Detroit, but to be actualized. Through our annual Social Innovation Challenge, we catalyze the development of social change ventures through a series of interactive workshops open to anyone willing to take their initiative from idea to start-up, while also providing the opportunity to receive up to $10,000 in awards. We have identified a robust network of mentors from diverse disciplines around Detroit and have nurtured that collaboration, growing our organization 3x since 2016. As a zero-cost monthly event, our activities are purposefully designed to be accessible to everyone. From the attached photos of our workshops, you can see that inclusivity and collaboration are clearly core values of being an Optimizer. Through our peer-driven and community-rooted Challenge, we’re empowering students to make lasting change with each other. 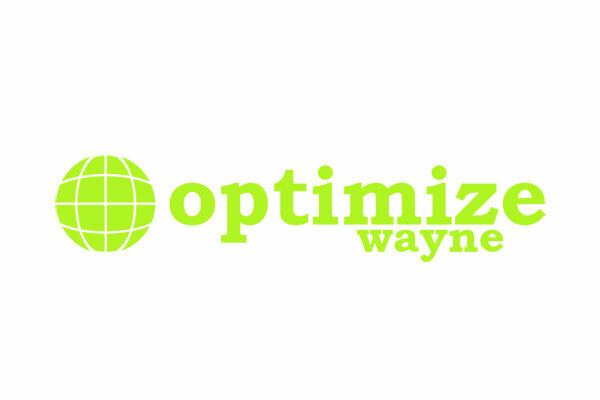 However, we recognize OptimizeWayne cannot catalyze change on its own and thus seeks out collaborative relationships in the entrepreneurship and innovation ecosystem at Wayne State University and beyond. Over the past two years we have worked to develop relationships with entities such as TechTown, Bamboo Detroit, MoGo Detroit, Grand Circus, the New Economy Initiative and Michipreneur and eagerly look forward to building more partnerships. The cycle for our Project Incubator begins in October with the Social Innovation Kickoff which focuses on defining social innovation. This event features OptimizeWayne alumni and prominent entrepreneurs to speak on their own entrepreneurial journeys in Detroit. The kickoff also highlights how individuals can get involved with OptimizeWayne to create their own social change ventures. Through November to March, OptimizeWayne hosts a series of inclusive workshops that comprise the Social Innovation Challenge. These events highlight entrepreneurs and thought-leaders that lead action-based sessions on skills needed to create an impactful start-up. Themes include customer discovery, developing a value proposition, prototyping, storytelling and pitching. At the end of March, teams that have taken part in the Social Innovation Challenge have the opportunity to pitch for up to a $10,000 in awards. Funded teams present at our Social Impact Showcase to an audience of Wayne State, Detroit and Michigan community members.